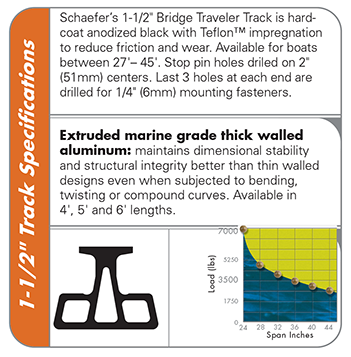 Bridge System : Schaefer Marine, Inc.
Schaefer offers a complete "all in one" Bridge Track system that includes a 5' track, (2) Hinged Pods, (2) Lift blocks, 72-92 six-wheel traveler car, Port and Starboard control blocks and traveler end stops. 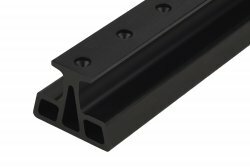 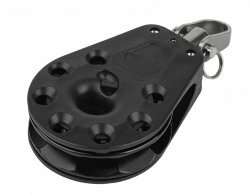 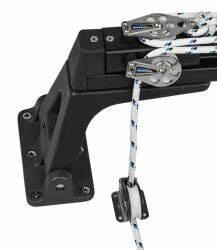 The Hinged pods allow a proper fit to any deck angle ensuring a proper installation. 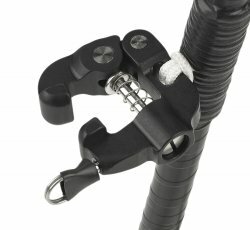 Contact Schaefer with any sizing questions. 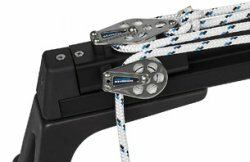 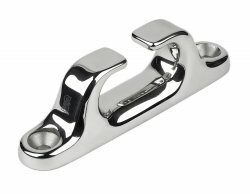 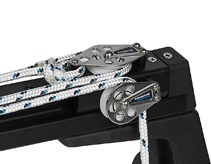 This system is suitable for most boats up to 45'.